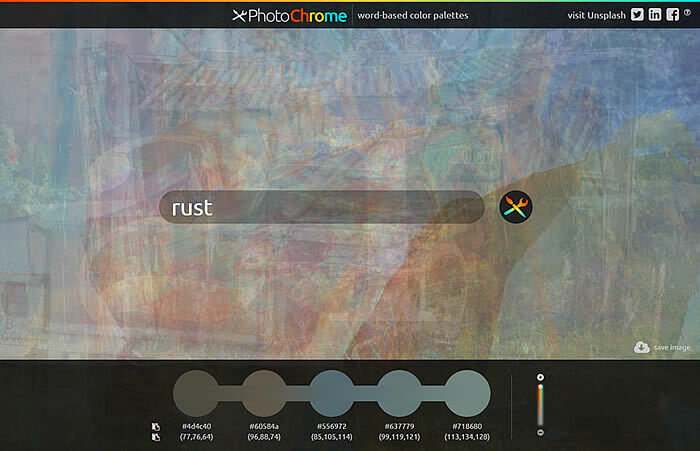 PhotoChrome.io is a color resource for designers, developers, or the just plain curious. 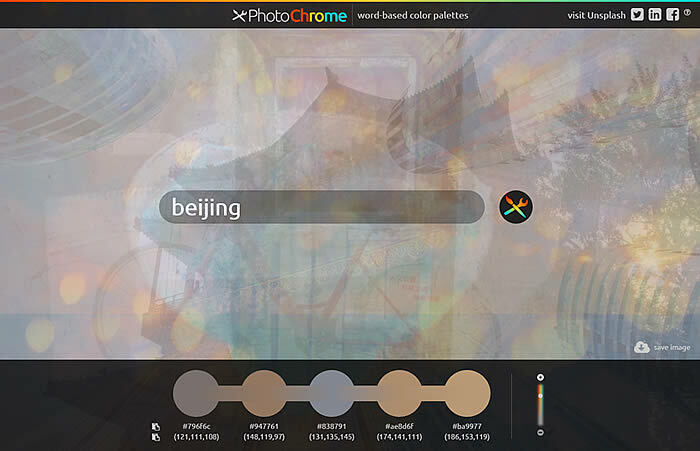 Jinnan Zhang and I have been tinkering with an idea for making word-derived color palettes by sampling colors from mashed up photos. 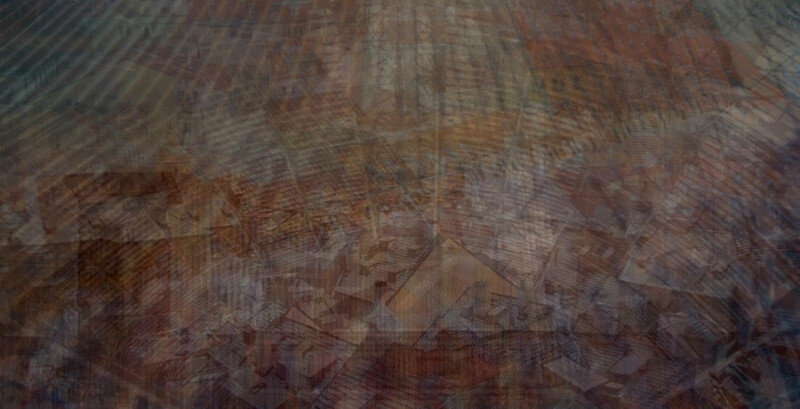 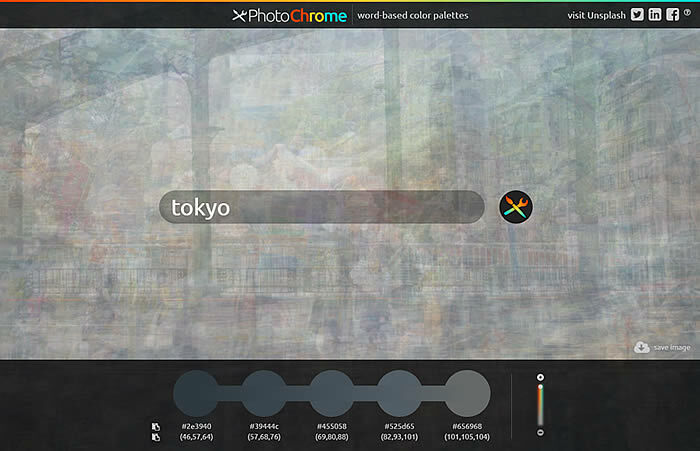 By searching tagged images, then melting them into a single impressionistic image, you can squeeze out a color palette that is some sort-of consensus around the color of words. 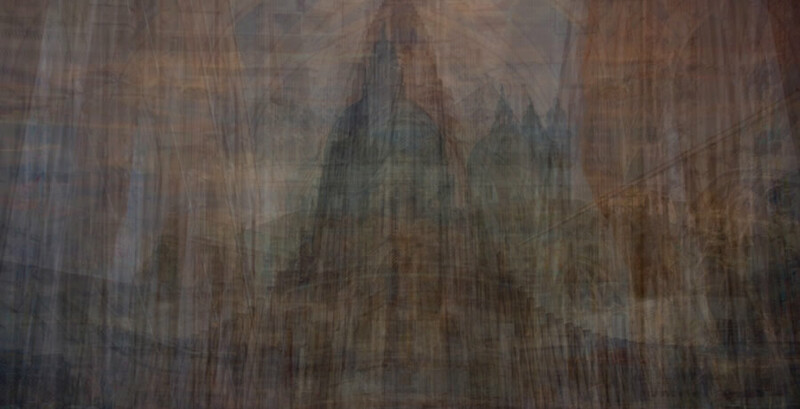 A few years ago I cobbled together a manual process for picking out a color from a keyword search by hijacking Google image search “quilts.” I recently learned that it wasn’t as much of an original thought as I had assumed. 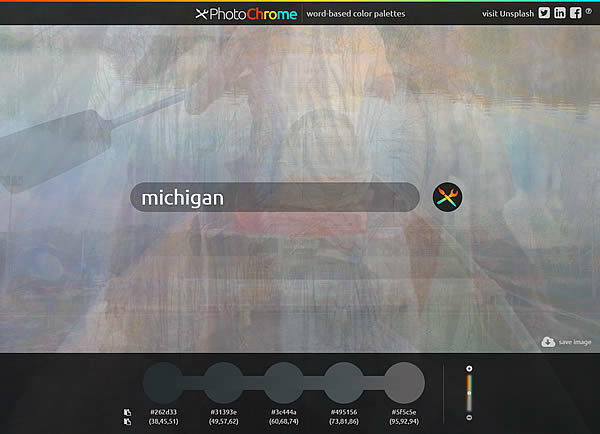 And Andy Woodruff has done some beautiful work around sampling geo-tagged images to paint in map hues here and here. 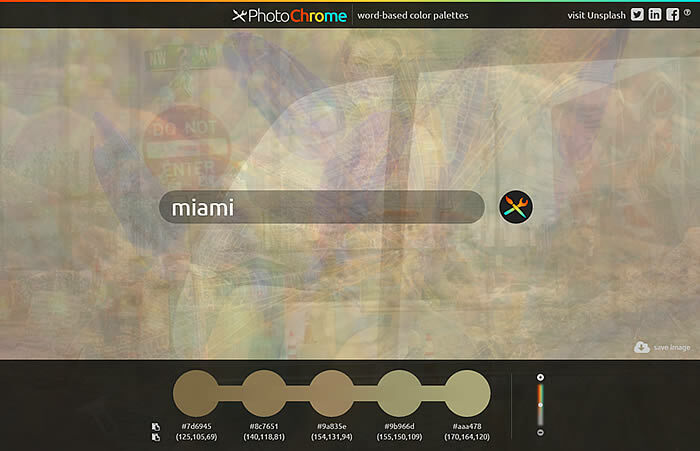 Because we are blending many images together, the more vibrant hues tend to get muted -but the overall palette still tends to make sense. 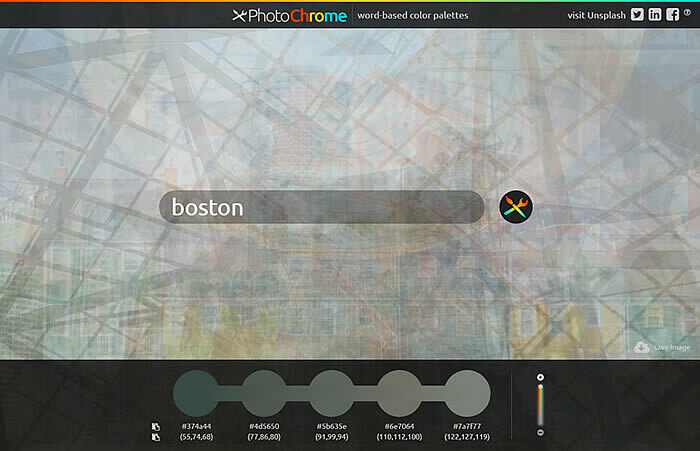 I can rationalize this really quickly since designers (including cartographers) tend to work in much more muted colors than you might expect. 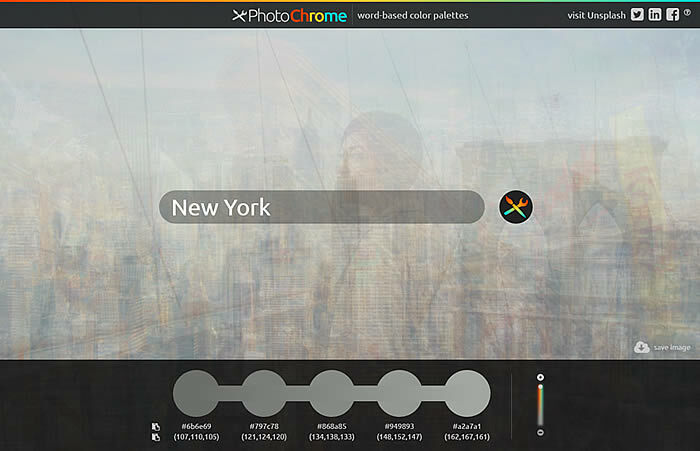 Unsplash is a beautiful, free, photo service. 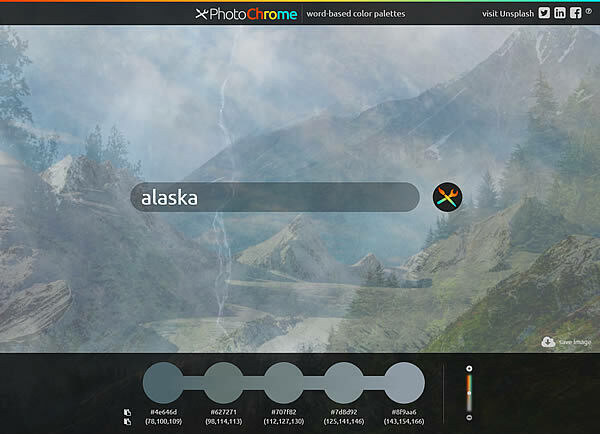 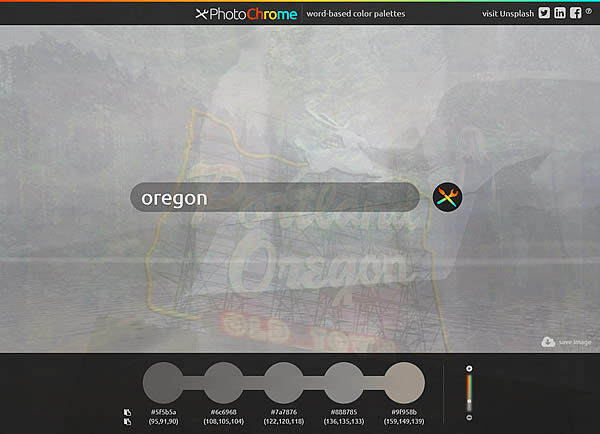 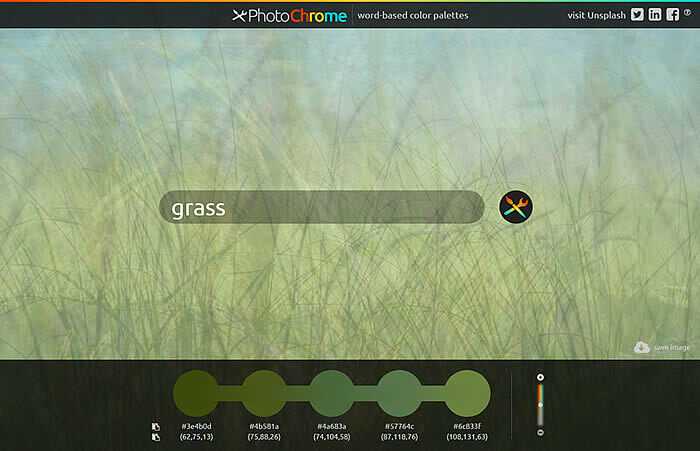 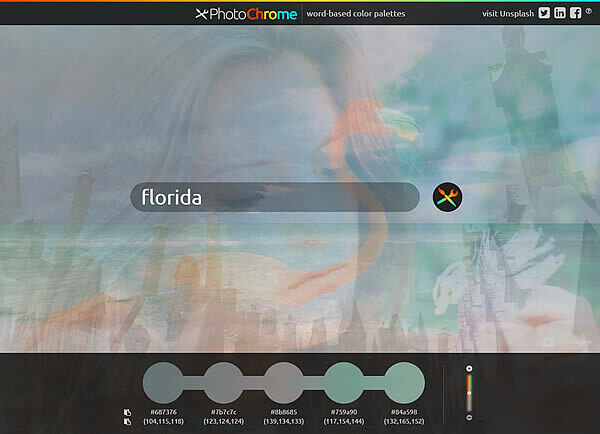 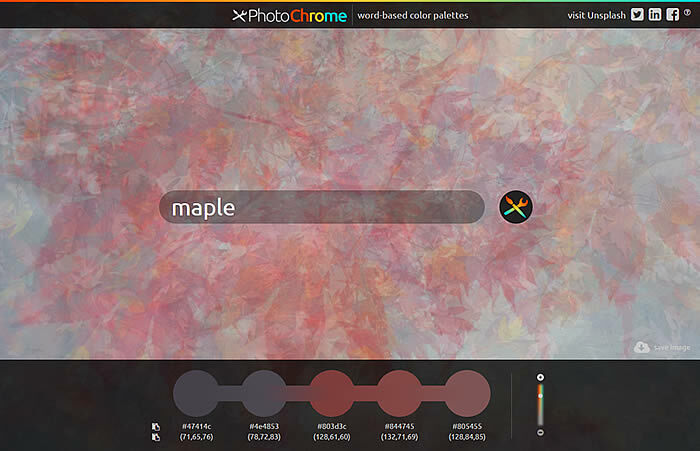 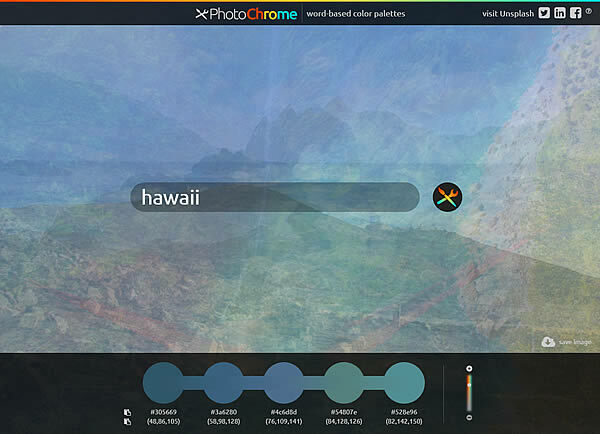 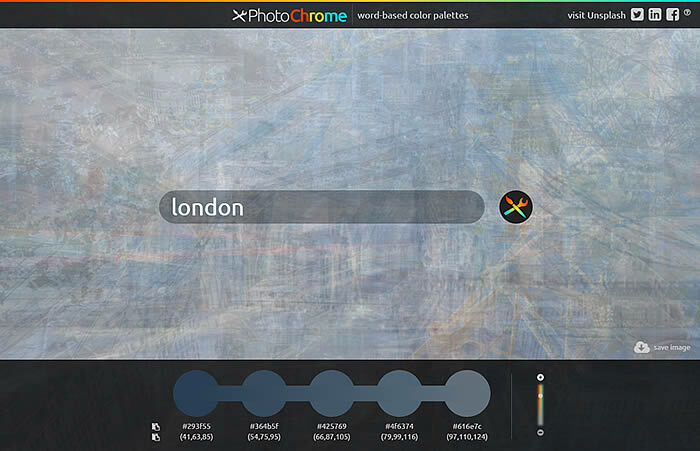 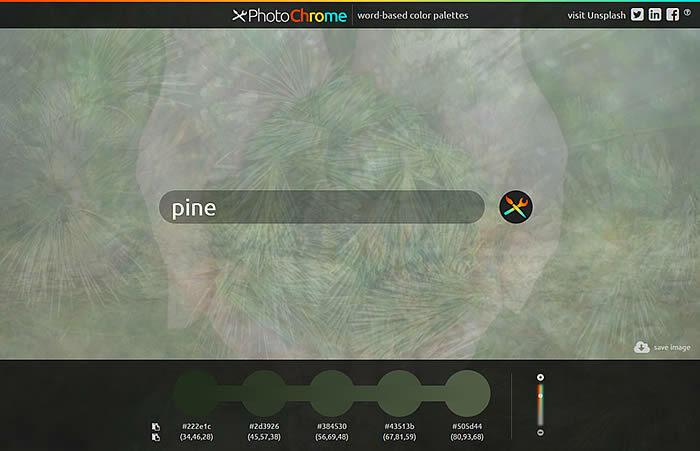 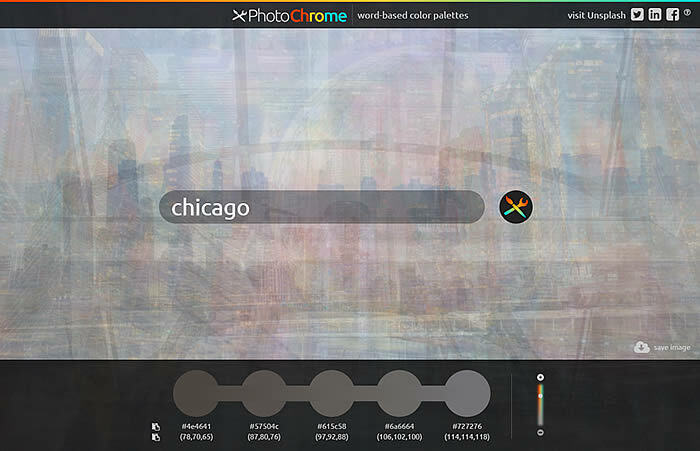 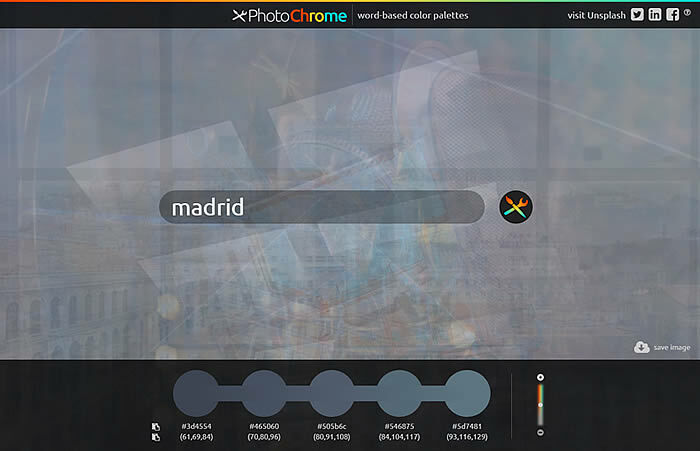 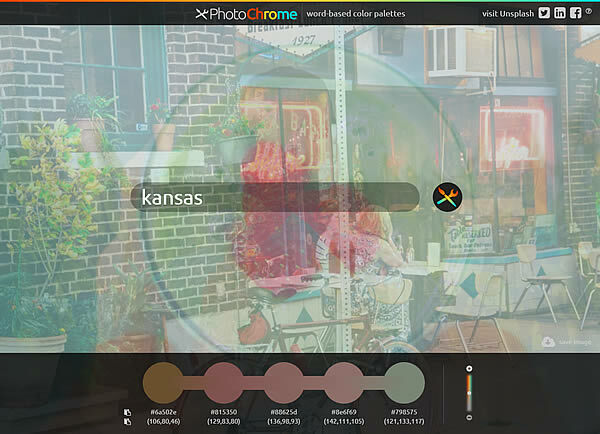 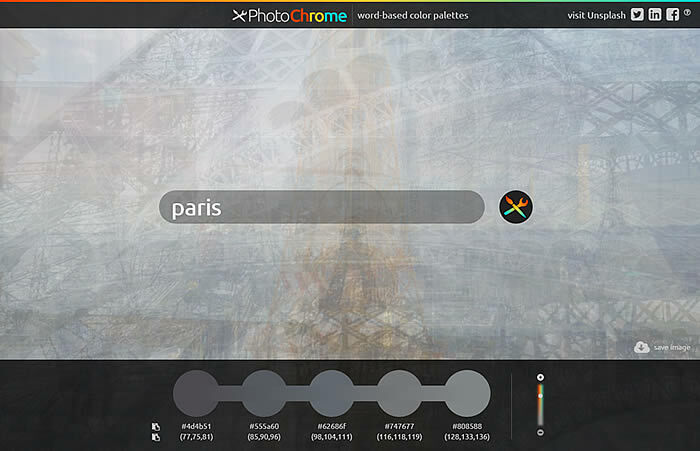 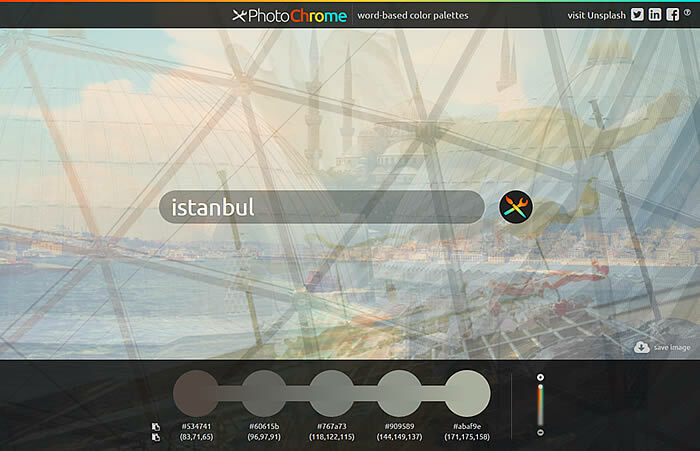 PhotoChrome.io reaches out to their search results, and blends the photographs into a single image. 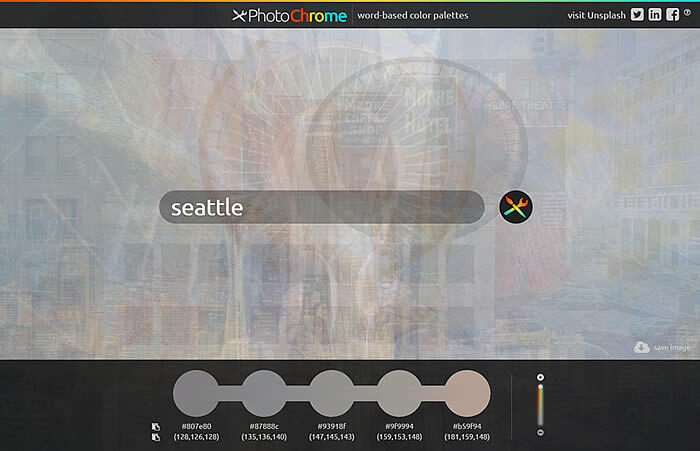 Then Color Thief picks out the dominant hues, then Chroma.js fits them along a brightness gradient. 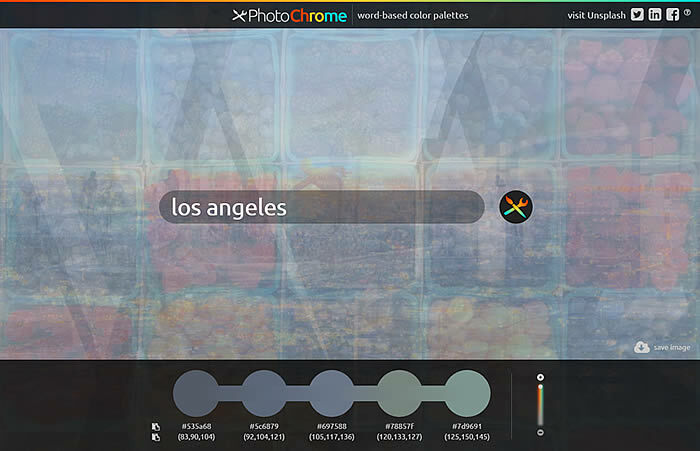 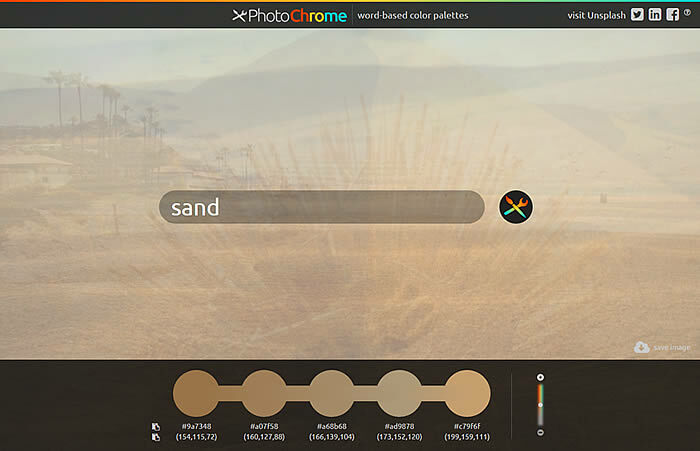 Beneath each PhotoChrome palette is the set of component images blended together to make the palette. 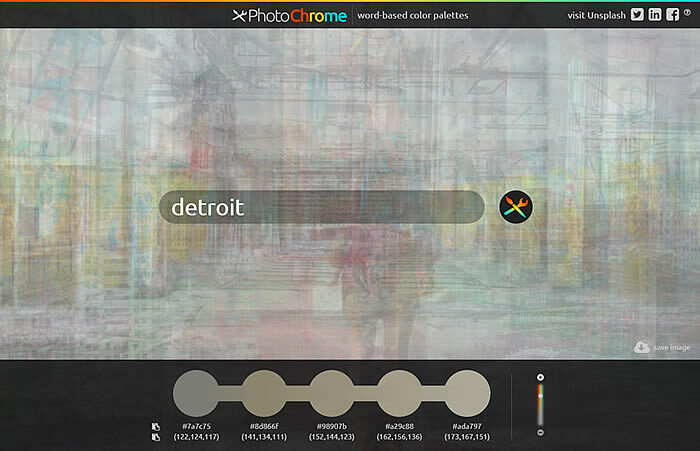 You can crop them as you like to pull color out from specific parts of a photo. 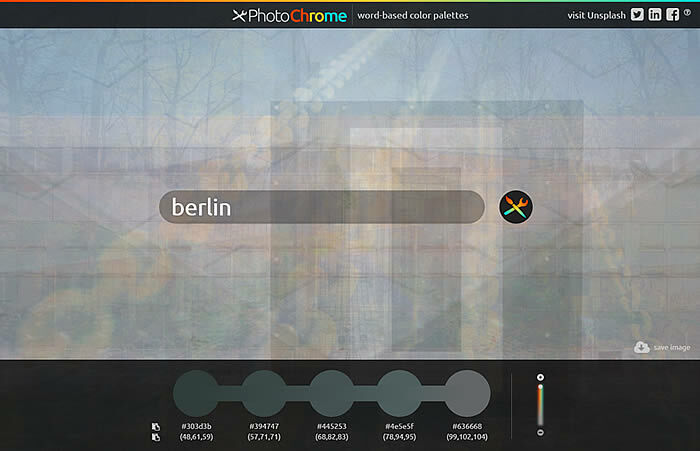 PhotoChrome will re-build the palette. 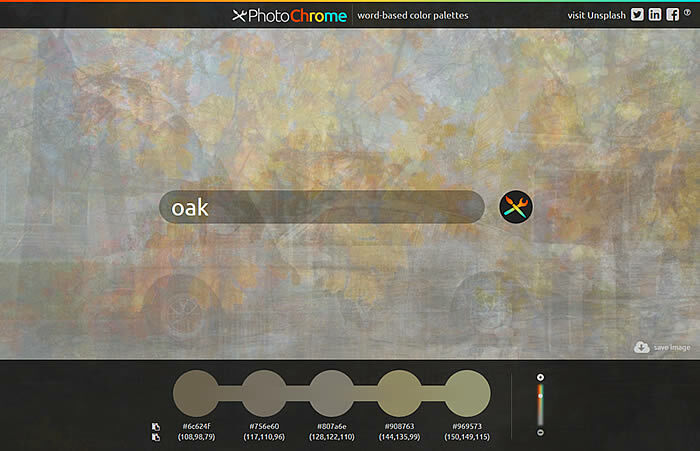 You can push and pull the saturation of the blended image, to re-paint the palette with sometimes-surprising results. 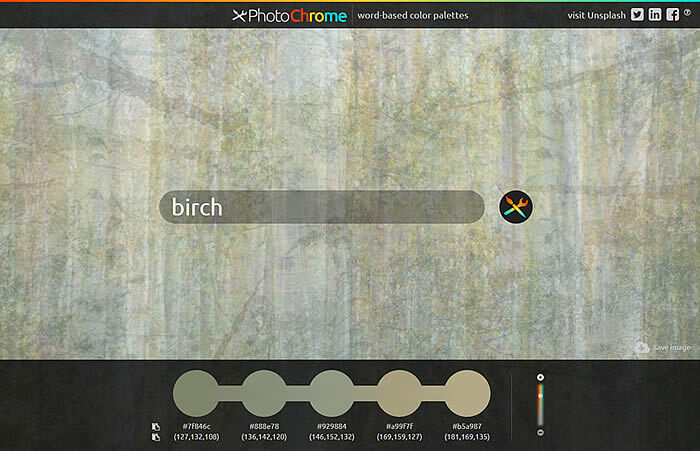 While the color palette is the goal, I like ogling the blended images. 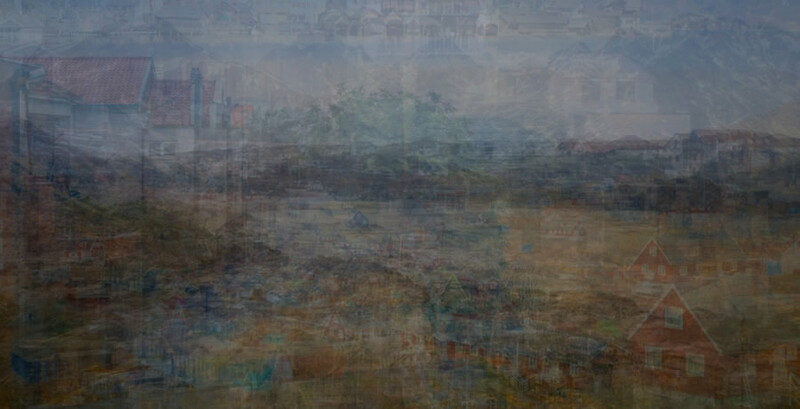 They lend me a little sense of how an impressionist painter might see light and hue, or how a cubist painter sees multiple perspectives at once. 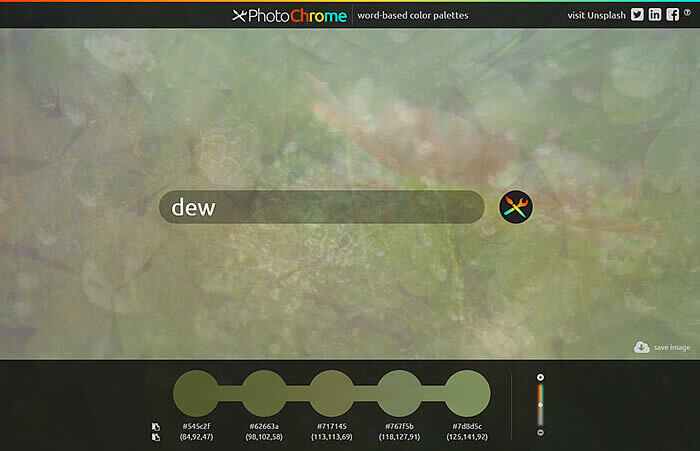 Anyway, I hope you find some use for it in your paint selection, cartographic endeavors, graphic design. 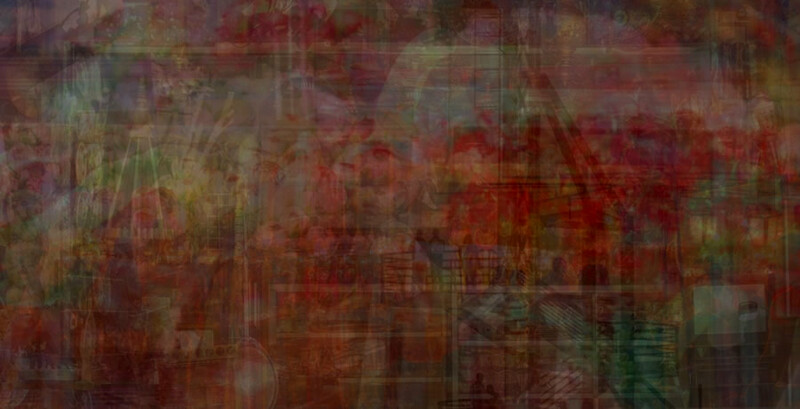 Or, I hope you just enjoy it without any sense of utility.